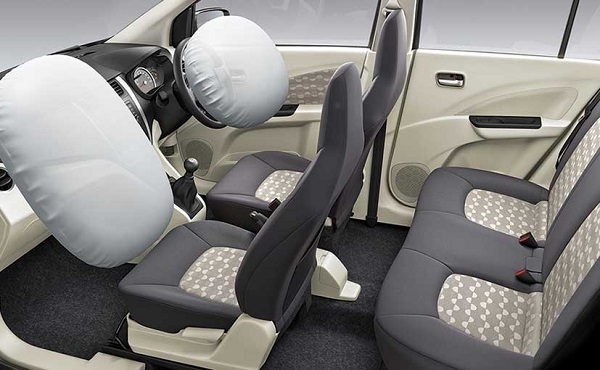 According to recent reports Ministry of Road and Transport is going to make integration of airbags, speed alert sensors above 80 kmph, seat belt reminders, and parking sensors as mandatory features in all cars that would be manufactured after July 1, 2019. Recently the ministry has determined the time limit to implement the strategy and the notice regarding this will be issued in couple of days. Currently these features are offered in luxurious car but as these features play an incredible role in offering complete security to the passengers, Honorable Minister of Road and Transportation Mr. Nitin Gadkari has approved the plan towards the safety of passengers and pedestrian commuters. It would be important to mention that during the year 2016 among 1.51 lakh road accidents 74,000 people lost their life due to the accident. In the words of an officer from Ministry of Road and Transport, "The new cars will be fitted with a system that issues audio alerts when the speed crosses 80kmph. The alert will be sharper when the vehicle crosses 100kmph, and non-stop when it's over 120 kmph,"
According to the authentic sources the enforcement of the provisions would pave the way for quicker implementation of frontal and side crash test for vehicles. Across the developed world, the focus is now more on ensuring the safety of occupants, and global safety experts argue that "no vehicle should be a death trap". The sources also said that the manual override system will make an instant quit from the car in case if there is an electric failure in the car due to which passengers could not come out from the car as the failure of central locking system, resulting in huge loss of life in most of the accidents. Moving ahead the sources also said that to minimize the chances of accidents while reversing the car, the parking alert will let the driver know about the presence of any object behind the vehicle.